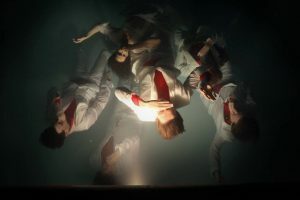 For more information on the 2016 JUNO Awards, or to download photos of Arcade Fire, go to www.junoawards.ca. 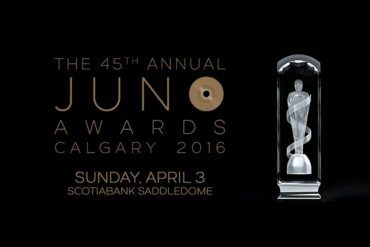 Premier Partners of the 2016 JUNO Awards: We acknowledge the financial support of FACTOR, the Government of Canada and of Canada’s Private Radio Broadcasters, Radio Starmaker Fund, Province of Alberta, the City of Calgary, Tourism Calgary, the National Music Centre, Google Play Music and TD Bank Group. About CARAS The Canadian Academy of Recording Arts and Sciences/L’académie canadienne des arts et des sciences de l’enregistrement (CARAS) is a not-for-profit organization created to preserve and enhance the Canadian music industry and to contribute toward higher artistic and industry standards. 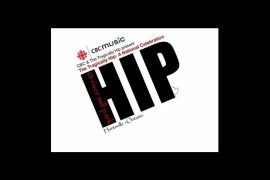 The main focus of CARAS is the exploration and development of ongoing opportunities to showcase and promote Canadian artists and music through vehicles such as The JUNO Awards and other year-round initiatives. 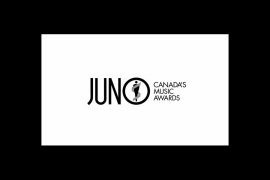 For more information on the 45th Annual JUNO Awards or The Canadian Academy of Recording Arts and Sciences (CARAS) please visit www.junoawards.ca or www.carasonline.ca. About Bell Media With passion and an unrelenting commitment to excellence, Bell Media creates content and builds brands that entertain, inform, engage, and inspire audiences through the platforms of their choice. Bell Media is Canada’s premier multimedia company with leading assets in television, radio, out-of-home advertising, and digital media. Bell Media owns 30 local television stations led by CTV, Canada’s #1 television network; 34 specialty channels, including TSN and RDS, Canada’s most-watched specialty channels in English and French; and four pay TV services, including The Movie Network and Super Écran. Bell Media is also Canada’s largest radio broadcaster, with 106 licensed radio stations in 54 markets across Canada. Bell Media owns Astral Out of Home, one of Canada’s most dynamic and innovative out-of-home advertising companies with a network of more than 30,000 advertising faces in British Columbia, Alberta, Ontario, Québec, and Nova Scotia. Bell Media also operates more than 200 websites; delivers TV Everywhere with premium subscription on-demand streaming service CraveTV, as well as its innovative GO video streaming services including CTV GO, Discovery GO, TMN GO, and TSN GO; operates multi-channel network Much Digital Studios; holds an equity stake in digital startup Hubub; is partners in Cirque du Soleil Media, a joint venture with Cirque du Soleil; and owns Dome Productions Inc., a multi-platform production company. Bell Media is part of BCE Inc. (TSX, NYSE: BCE), Canada’s largest communications company. For more on Bell Media, please visit www.bellmedia.ca. Next article2016 JUNO Week Events Guide Now Available!